KAMPALA – Police are investigating circumstances under which a South African national died at a city hotel. The body of Johannes Fredrick Steinberg, 64, was found in room Number 602 of the hotel by staff who broke the door of the room after he failed to respond to calls. 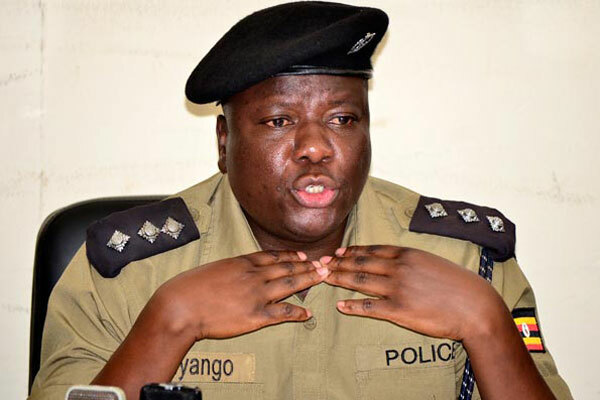 Kampala Metropolitan Police spokesperson Patrick Onyango said the deceased’s body did not bear any signs of physical attack but a post-mortem is underway to discover the cause of death. “The deceased came in the country on February 26 aboard Kenya airways and checked in at Golden Tulip at midday. He was allocated room 602 on the sixtieth floor in good condition but he was found dead in this very hotel room. We are investigating the cause of this sudden death,” Mr Onyango said. SP Onyango said they have recorded statements from hotel staff. “When the hotel workers a received a phone call from a lady asking to be linked with the deceased, they rushed to his hotel room to link up him with the caller but he did not respond until they opened the door and realised he was dead. They found his lifeless body in a bathroom facing up,” SP Onyango said. Police said no person had been arrested over Steinberg death but were waiting for postmortem which would guide investigators on whether it was natural or induced death. By press time, Steinberg body was lying at Mulago hospital morgue. Last year, several foreigners died in Ugandan hotels under mysterious circumstances. A Swedish and Finnish were discovered on February 6 and 8 dead at Sheraton and Pearl of Africa hotels respectively. Then Inspector General of Police, Gen Kale Kayihura, said drug substances had been found in Tersvouri Toomajuha Petteri, a 42-year-old Finish who died at Pearl of Africa Hotel and Alex Sebastian, a 41-year-old Swede, who died at Sheraton Hotel. Two weeks later, police launched an investigation into the death of German and Belgian nationals. Hans Jurgen Vallant, 64, a Germany died on his way to Nsambya hospital whereas Eric Yvomr, 54, a Belgian was allegedly found hanging on a rope in his girlfriend’s rented apartment in Muyenga.